Freiburg is easily accessible by train from anywhere in Europe. Both national and international trains stop at the train station, which is well networked with smaller regional train stations via regional train connections. You can find more detailed information about train connections in Freiburg by visiting the website of the Deutsche Bahn. With Europe’s North-South and East-West axes meeting exactly here, the region is traversed by the most important traffic arteries. Direct highway access is available via the A5 highway. 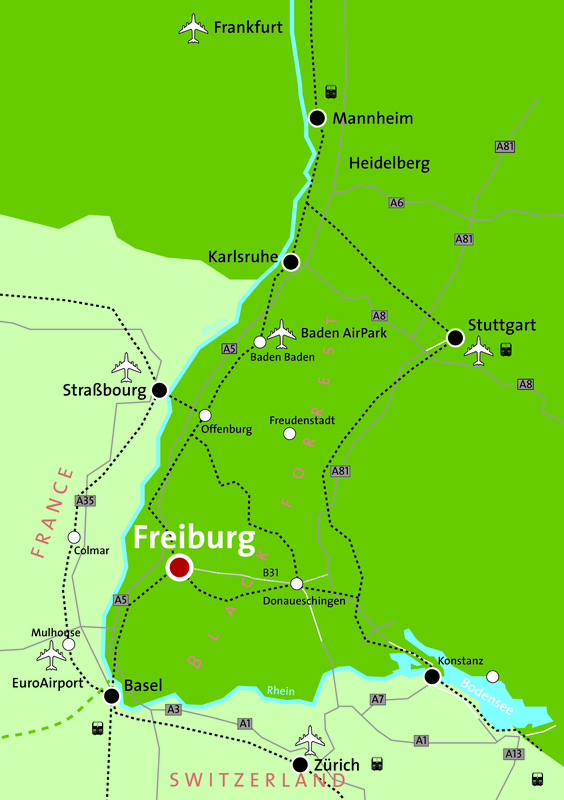 Freiburg is also well connected and easily accessible via interstate roads. 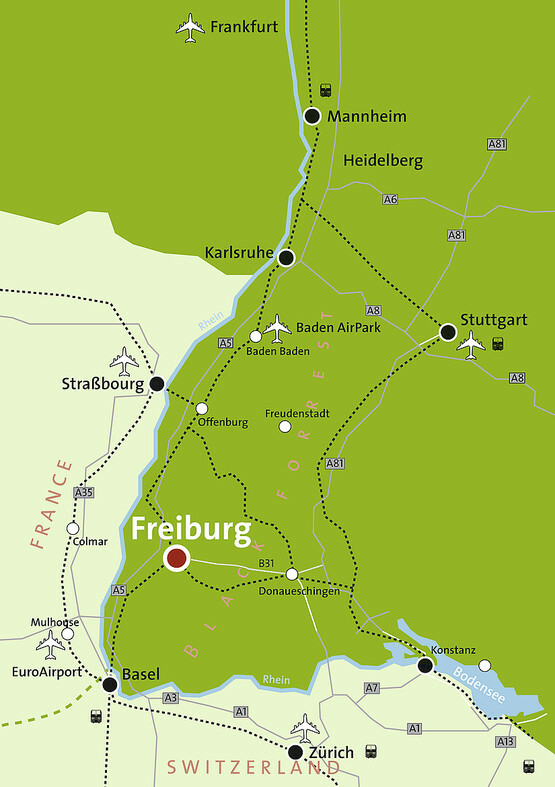 You can find more detailed information here: directions to Freiburg.